As we move into the holiday and snow season here in Portland, it feels like time to remind my clients, new, long-time, and soon-to-be, that in addition to in-person healing sessions, I also do distance healing sessions. 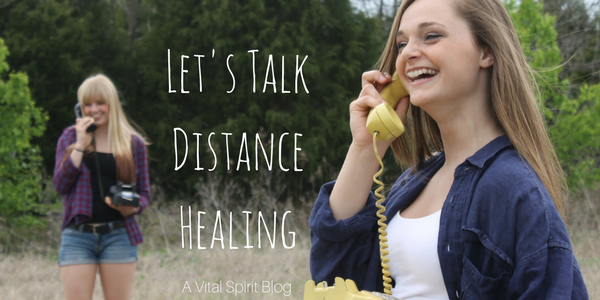 With the chaos of scheduling during the holiday season, I want to remind folks of this option and talk a little bit about distance healing so people can understand it and feel comfortable with this option. The most frequently asked question I get about distance healing is, “does it work?” It does work, really well in fact! I thought it might be helpful to explain how it works. Energy healing can be received from any distance, the only requirement is permission. When working with people at a distance I work either by phone or video conference. Both tools offer a full and complete experience when comparing to my in-person sessions. I do the same process and the client receives the same benefit. Energy healing is done by focusing my attention and intention on moving, shifting, or clearing energy that is holding my client back. Here is a little-known fact about distance healing, my intuition is clearer and it is easier to read the person and situations brought to me via distance sessions. Why? Because I am not sifting out all the energies in my client’s field instead I can directly access their Spirit and guides and work efficiently and directly. I recently had a great reaction to a distance session I conducted with a long-time client who moved away. She had been skeptical about doing a distance session and after we completed, she explained how incredulous she was that she could feel me moving the energy in her field during the session, just like she had experienced in my office.